Just over a year ago, the company KIND received a reprimand of sorts from the Food and Drug Administration (FDA). The company was informed in a warning letter that their use of the word “healthy” on some of their product packaging was in violation of regulations, and thus inappropriate. What a difference a year makes. The use of “healthy” on the wrappers of the KIND bars in question might still, technically, be in violation of the strict requirements of regulations on the books at the FDA. But the FDA has now reversed its decision about KIND, and rescinded the warning. They concluded that use of “healthy” by KIND is permitted and appropriate after all, and that its own, outdated regulations are what’s inappropriate. They are quite right, and I applaud them. Saying mea culpa is hard enough for any of us, let alone a federal agency. Why Did the FDA Reprimand KIND? By way of reminder, the concern about the bars was their fat content. FDA regulations evolve at the speed of government and so those regulations currently on the books originated decades ago. Our thinking about dietary fat has certainly moved on since then, although FDA regulations don’t necessarily reflect enlightened thinking even from those days. Even at the peak of our preoccupation with dietary fat, most experts understood that almonds, walnuts, and avocado were not the problem. The regulations with which the FDA is currently encumbered would preclude calling those foods, or a filet of wild salmon, “healthy” because of their content of total fat, saturated fat, or both. That, then, was the basis for the rebuke to KIND. The bars exceeded specific threshold values for total or saturated fat. That fat, however, was coming almost entirely from wholesome, whole food sources, notably almonds. The problem with such a stipulation is self-evident, but becomes even more so when the Dietary Guidelines for Americans are brought into the mix. 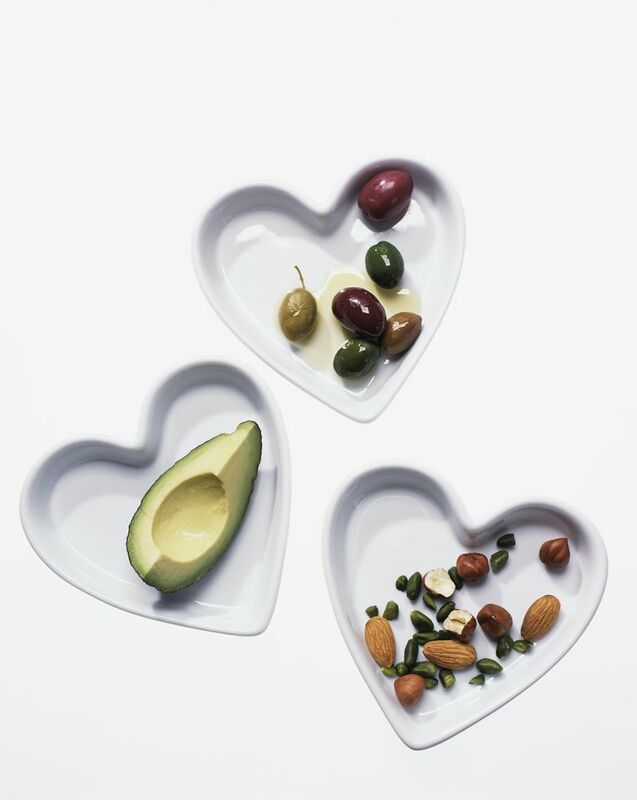 The 2015 Dietary Guidelines for Americans, the far better 2015 Dietary Guidelines Advisory Committee Report, and for that matter the corresponding efforts back in 2010, all explicitly recommend routine intake of nuts and seeds in support of health, as they should, based on expansive evidence. So we had clearly maneuvered ourselves into a paradox of public health nutrition: eat nuts to be healthy, but don’t call a product healthy (“healthful,” actually) if it is made mostly of those very nuts, and thus delivers the fat they contain. The public is confused enough about good nutrition without that sort of help! How Did KIND and the FDA Work Together? This obviously made no sense, and KIND might have decided to argue with the FDA. But, characteristically, they did a far kinder and more constructive thing: they conferred and collaborated. FDA, for its part, was no less committed to dialogue. One might think a large federal agency would simply say, “the rules are the rules,” but they did nothing of the sort. They listened, they reacted, they met with us, and they clearly reflected. The entire process was a great credit to both parties, and to their shared commitment to get it right for the sake of the shopping public and public health. In my view, they did just that. Of course, the reversal with regard to KIND labels is just the first step in what will likely prove to be a long process. The ultimate remedy for this predicament is a comprehensive update of those obviously antiquated FDA regulations. I am confident the agency is committed to just that, but it’s a process that will inevitably take time, maybe even years. We will have to content ourselves for the moment in knowing that the game is afoot. As a side note, it will not be enough for those updates to allow for “healthy” in the case of almonds, and walnuts, and flaxseeds. They must also close loopholes that allow for the application of “healthy” to low-fat junk foods. Believe it or not, those FDA regulations about what constitutes “healthy” do not address added sugar, and they certainly should. While waiting on the world to change, you can take matters into your own hands by cultivating your own food label literacy. In the free, proven program my lab developed, we emphasize a short list of ingredients and entries that belong. KIND talks about ingredients you can “see and pronounce,” and I would add, recognize as actual food. Those criteria line up well and are a good place to start. There is more to be done, but the FDA response to KIND’s petition is progress and full of promise for more. The discourse was kind all around, and the result of that dialogue genuinely healthy. Dr. Katz served as Senior Nutrition Advisor to KIND during the year of interactions with FDA.